Because I know that confession is good for the soul, let me be frank with the fact that I struggle with perfectionism. Now, to be honest, it isn’t as prevalent in the day-to-day living as it used to be. And for that I am thankful. But it would be a big fat lie if I were to tell you I had successfully tamed my perfectionist demon completely. No, darling, like you I have those triggers that make the little perfectionist demon inside rear her ugly little head and demand that I bring every area of my life to the unsustainable state of perfection immediately. Thank God I have lots of beautiful tools in my box to gently coax the Perfectionist back into her safe little box where the world feels manageable and in control. Let’s be honest about what perfectionism really means. At our deepest level, we desire to be cared for and accepted. To be seen as valuable. To be worthy of being loved. We have a deep, human need to belong to something larger than just ourselves. Because this need is so strong and so deep, we believe we must mold and bend and twist in order to be seen as worthy enough to be loved and to belong. In order for us to be accepted and loved, we put on masks and try to mold ourselves into what we hope someone wants us to be so that they will see us and love us. We hustle for love. We perform to be seen as worthy. We get lost in who we should be so that folks will simply love us. Pure and simple: We hope that, if we are perfect, we’ll be loved. We vie for perfection in the way we look and fret over our weight, our hair color and our clothes. We vie for perfection in our surroundings, and obsessively clean or buy things that match how we should be in order for people to respect us and value us. We vie for perfection in the way we comport ourselves in the way we live. We hope that if we are perfect, then no one will see our flaws and therefore will never see how incredibly unworthy of love and acceptance that we fear we are. The truth of the matter, my darling, is that we are born into this world perfectly perfect. We are wholeheartedly worthy of being loved and accepted for who we are. Without the masks or other trappings of perfection. But because generation after generation learns from the knees of the previous generation that we must hustle for love, we pick up the roots of our perfectionism in childhood. We want to be these big, bold curious creatures and find that our beings are simply too big and too loud and too much to be contained, so we become Good Girls and Good Boys and “tone down” our natural exuberance. Or, we want to be quiet and play with our toys and study books and bugs and all kinds of Interesting Things and are told to Speak Up and so we become Good Girls and Good Boys and speak even when we want to be left in our own little world. The patterns of being Good Girls and Good Boys continues throughout our lives and gets lost in the guise of control and perfection. We are the Pretty One or the Smart One or the Good Baker or the Emotionally Controlled one in a Crisis. Whatever the Role we were given to play in childhood, even if we’ve stepped away from that role through lots of self work (or therapy), that role threatens to bubble to the surface when faced with people or situations that remind us of the past hustle. This is crazily prevalent during the holiday season. We are surrounded by picture perfect perfection everywhere we look. We hope that if we put on the masks of perfection, then we will be protected from pain of not fitting in and not being good enough to be loved unconditionally during the past and in the present. In all truth, though this is what you may not wish to hear, the only way to move beyond perfection is to lay down the masks and be unapologetically who you are. It is by being imperfect and vulnerable to those we love and trust that we are reborn into our most sacred desire to be loved and accepted and worthy. The only way I know to do this is to offer ourselves a little grace and a lot of compassion. To let go of that long list of “shoulds”: what we should look like, what our homes should look like, and who we are supposed to be. To give yourself permission to be different from what others expect of us. And if that difference isn’t acceptable to those who say they love us, then allow yourself to accept that they are doing the best they can because they are living under years of their own battle with perfection and should. So, darling, this holiday season, in addition to giving yourself lots of compassion, it’s possible you may have to give yourself permission to not worry or care how others see us. Because at the end of the day, you have to look at yourself in the mirror with honesty and love and compassion and realize that you are doing your dead-level best. And maybe, just maybe, you need to withdraw the permission slip you gave others in your world to have any say or influence in your life. Because, maybe (just maybe) they don’t deserve to see the whole, full, amazing being that you are. Because you have become this bright and shiny version of who you were always meant to be. You aren’t broken. You do not need to be fixed. 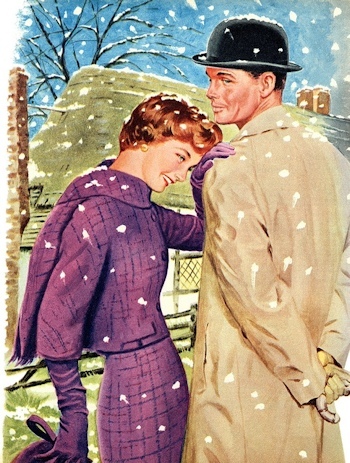 So, let’s vow together, darling, that we won’t allow the holidays to push us into perfection. Because life is too short, and darling, you are perfect as you are now. In this moment. Give yourself a gift this holiday season. Step away from the “should”, distance yourself from the perfection, and when you come up against those triggers that send you down the road to your childhood, allow the grace of the season and lots of compassion to be your bedmate.